Lost My iTunes Library，How Do I Get It Back ? iTunes library missing, getting corrupt or damaged is an issue that affects and troubles many users. It is very rare for iTunes just to erase your media content unless you explicitly delete them. However, you might encounter this scenario of losing iTunes library content after an iTunes version update when you enable iCloud Music Library or even when you enable iTunes Match. If you perform either of these tasks and your iTunes library disappears then it calls for one to restore a previous iTunes library. Get your entire lost iTunes library with iMyFone TunesMate, no more worry about the loss of any iTunes library or playlist as this software has been developed to efficiently and freely manage any iTunes library across all your devices in a professional way. Also, you can copy media content from other devices such as your friends iPhone and restore it on your iTunes enriching your music collection. 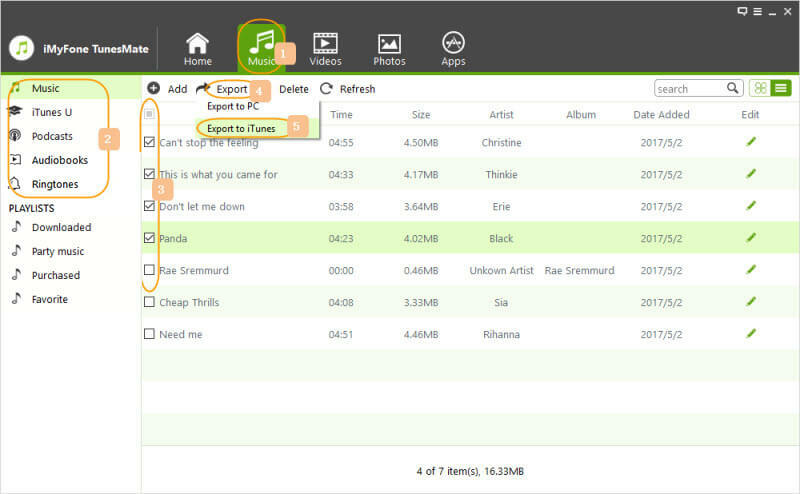 Has the ability to transfer media content from iTunes to a wide range of devices without any limit. 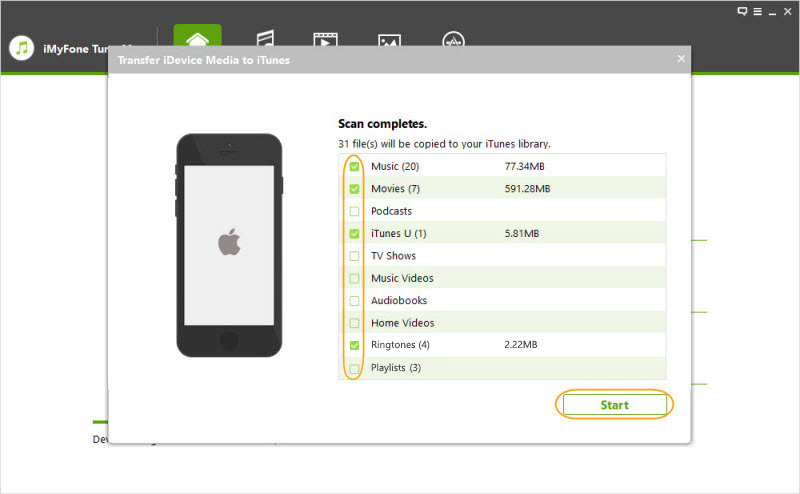 Can rebuild your entire iTunes library at a go from your iDevices using any data you had previously synced. 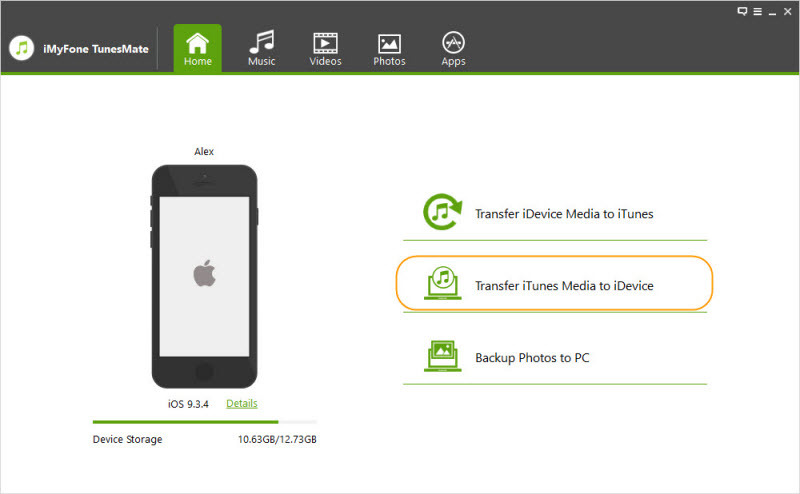 Can freely transfer any data from iPhone to PC, or from PC to iPhone without iTunes. It supports transfer of files between iPhone and iTunes/PC, including both free and paid music/movies without any limitation. You can preview and select the specific files you want to move to iTunes in case you had just lost part of your library. Copies data without overwriting or deleting any previous files or even creating duplicates. Step 1. Launch TunesMate on your computer and connect your iDevice via a USB cable. Step 3. Select all the files you want to restore and if you had lost the whole library, choose the entire Library and then click transfer. Step 4. Once the process finishes click “Complete”. Once done, you will have successfully rebuild your lost music library. Step 2. On the home, interface click “Transfer iTunes media to iDevice.” Select all the files you want to restore and then click transfer. Step 3. Then go to "Music" tap, select the files you want to restore , and then tap "Export > Export to iTunes" at the top bar to start transfer. Step 4. Once the process finishes click “OK”. 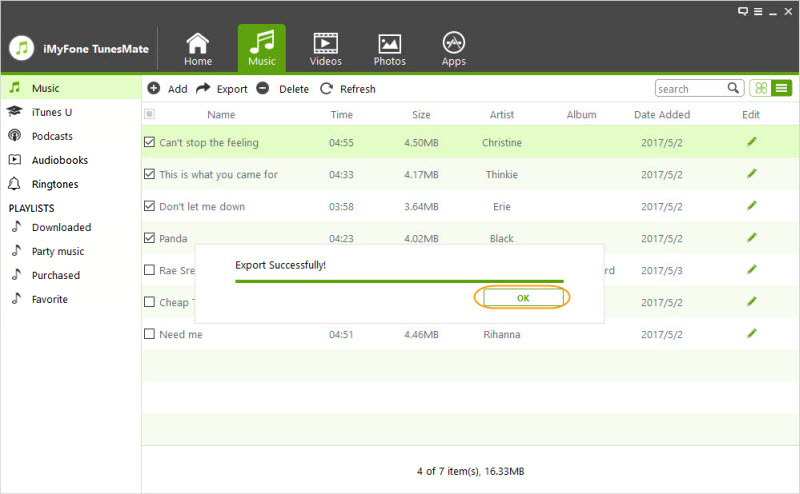 Once done, you will have successfully rebuild your lost music library. Step 1. Quit the iTunes application on your PC/Mac. Step 2. Navigate to the iTunes library location which is usually in the iTunes folder by default. Step 3. 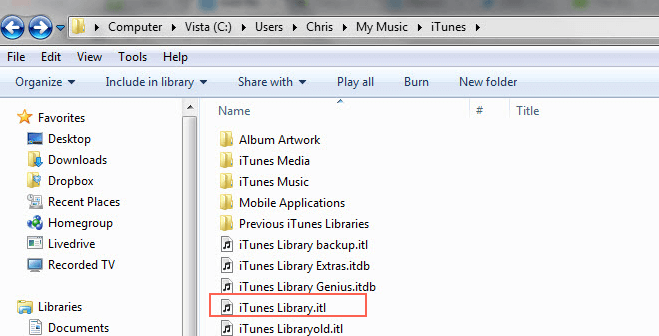 Once in the iTunes folder, find iTunes Library.itl which is the file containing all your library content information. Select and then drag it to your desktop. Step 4. Go back to the iTunes folder and then open “Previous iTunes Libraries” folder. Step 5. Locate the most recent iTunes Library file. It is very easy to find it as all the files in that folder are in a very straightforward format which is iTunes Library YYYY-MM-DD.itl, where YYYY represents the Year, MM the month and DD the date when the library was created. Step 6. Select and copy the iTunes Library YYYY-MM-DD.itl you have chosen and then move back to the iTunes folder and paste it there. Step 7. After you have pasted the YYYY-MM-DD file to your iTunes folder, rename it to ‘iTunes Library.itl.’ and ensure that the name you use is easy-to-identify. Step 8. Now hold down the Option key on your Mac keyboard and open iTunes. If you have a Windows PC, hold shift instead. A window will then pop up with the options to either Create Library or Choose Library, click Choose Library and then select the iTunes library.itl you have just renamed. Step 9. Wait for all the songs to load and once the process completes you will have successfully restored your previous iTunes library. Step 10. Lastly, delete the iTunes Library.itl you had moved to your desktop by moving it to trash or recycle bin. Now your lost iTunes library comes back!